In my office, there's this awesome little vintage dress on display. I eye it every time I come in. I mean, every time. From the dainty little lace details, to the pearl buttons, I just can't get enough of how freaking adorable it is. Well, in light of Ms. Jessica's post over at What I Wore, I decided to try it on, you know, just to get it out of my system, so to speak. I can just imagine going to the county fair in this number. Perhaps with a pair of gloves and uttering my best, "Well I do declare!" in a southern drawl, of course. Now, I'm back, sitting at my desk eyeing the dress from across the room. Somehow, someway, I'll forget about you dress. Until then, you'll probably haunt my dreams. Sigh. P.S. I'll have a regular outfit post hopefully later on today. So much to do before I leave for the Weardrobe Conference in NYC! Stoked! you may just have to pretend that magically the dress fell down a well, and somehow ended up in your home. then you can keep it. That is a girly Southern outfit-indeed. It suits you well. Too bad if it went missing, you'd be the first suspect! beautiful dress, such a tease! Gorgeous dress! 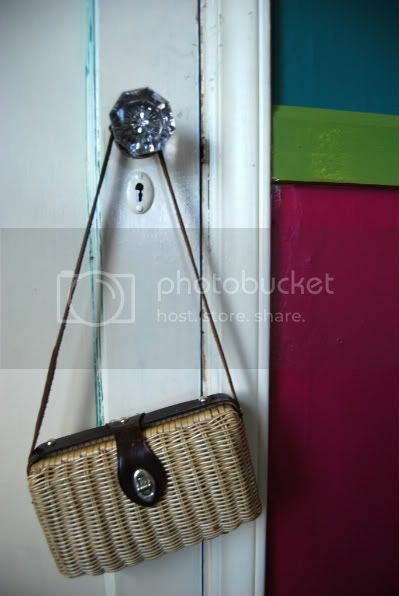 I like the sparkly door handle as well, randomly! Oh that dress is so adorably sweet! omg Adorable. Love it. You should really probably just keep it. OMG! Beautiful dress! Looks fantastic on you!!!!!!!! wow, this might be one of my fav of all your dresses that i've seen so far. it's so cute! love the dress and ur bag, lovely!! wow! this dress is just adorable. 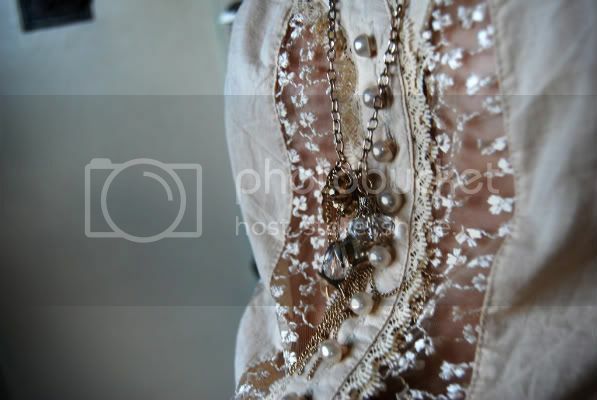 i love the lace and button details....so girly and delicate. LOVE IT!!! I am a BIG fan of this dress! Wow indeed! If this dress was starring at me all day long I would be sneaking it out to try on as well! Im sorry, why can't you have this dress? The dress is so cute! I don't know how you let it go! Oh what a lovely, girly, frilly dress! Looks great on you. Why can't you have it? just found your blog and i love it!! the paint choice in your apt is fantastic!! what do you do as a career? The dress is lovely!